Here is a breaking the code puzzle to solve for St. Patrick's Day. 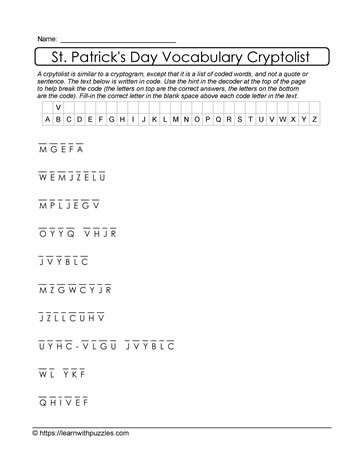 To solve the puzzle, decrypt the alphabet code and record the letters substitutions in the grid at the top of the page. One HINT is given in the chart.